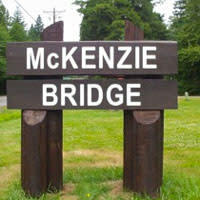 McKenzie River is comprised of seven small towns spread out every six to ten miles (10 - 16 km) along the old stage coach route. 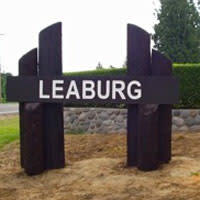 Watch for the town signs or you might drive right past! 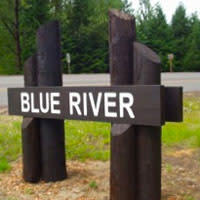 Many of the residents here have grown up on the McKenzie River and are passionate guides, anglers and historians. 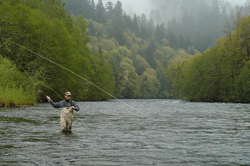 McKenzie River&apos;s beauty and solitude has further attracted artists, naturalists and outdoor enthusiasts. If you can, stop for a meal at a tiny café or pop into a store for supplies. Engaging with the locals is sure to enrich your appreciation of the area&apos;s rich history and deepen your connection to its many exquisite places and experiences. Just outside Springfield, Walterville offers the McKenzie River&apos;s only shopping center with a restaurant, supermarket and feed and tackle store. 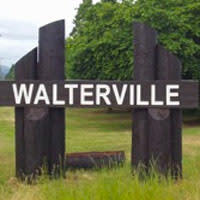 The annual Walterville Community Fair is held here in September. 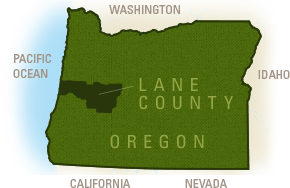 Walterville is also part of Eugene&apos;s hydropower system, home to the 70-acre (28 ha) Walterville Pond. Triangle 5 Ranch offers horseback rides on woodsy trails and past historic farm buildings. The Walterville post office was established in 1875. Wonder where the popular UO campus-area bar "Rennie&apos;s Landing" name came from? It&apos;s a boat launch in Vida! Also here is Ben & Kay Dorris Park which includes the famous Marten Rapids stretch of the McKenzie River. The community offers a grocery store, gas station, café and fire station. There are several lodges, vacation rentals and cabins. 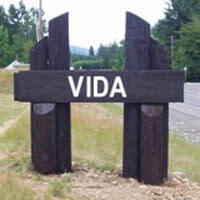 Vida was established in 1868, and named for the first postmaster&apos;s daughter. 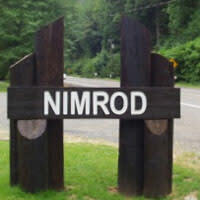 Nimrod&apos;s name gets a lot of attention (and the town has had to bolt its sign down) as a modern day synonym for "fool," but some believe its name is actually in reference to a biblical figure known for his hunting prowess. A ferry crossing was once established here. In 1938, Nimrod hosted the first white water parade, an event that attracted thousands and peaked with 300 boats covering 20 miles (32 km) until it was shut down in 1970 due to reckless boating. Today the annual Wooden Boat Festival is re-created on a modified scale from Eagle Rock Lodge. Eagle Rock itself is a huge boulder on the south side of the river. There are several bed and breakfasts here and a fire station. 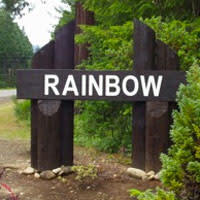 Rainbow was once an important stage stop for travelers and offered ferry service. Later a series of bridges crossed the McKenzie River here. The current Belknap Covered Bridge, built in 1966, still accommodates cars. Hike to Castle Rock, a former fire lookout with amazing valley views. Or play golf at Tokatee Golf Club with views of the Three Sisters Mountains from the greens. The United States Basketball Academy is here - a great spot for groups. And the town includes the Blue Sky Market and a shop dedicated to the Christmas holidays. On the way to Sisters and Bend there are many campgrounds, hiking trails, waterfalls and lakes - but no services. It is always a good idea to travel with a full tank of gas, extra food, water, warm blankets and a first aid kit. Check road conditions before departing.